Hertha Berlin survived a late VfL Wolfsburg onslaught to take a point from an entertaining 1-1 draw in the capital. The sides came into the encounter in markedly different form, with Hertha winless in 2016 and Wolfsburg boosted by an impressive victory at KAA Gent in the last 16 of the UEFA Champions League. However, the hosts had been miserly in defence at the Olympiastadion this season in conceding just seven goals in their ten matches, and they kept the Wolves at arm’s length in the first half. Indeed, it was the Berliners that posed the biggest threat in the opening period, with Salomon Kalou, back in the side after injury, crossing for Vladimir Darida to shoot wide and then testing Koen Casteels with a low shot. Soon after the break, Wolfsburg had the lead thanks to a smart finish from Marcel Schäfer, but the home side hit back impressively, with Kalou lashing in an equaliser – his 11th goal of the season – after Casteels had bravely denied the onrushing Vedad Ibisevic. Suddenly Hertha looked the more likely side to scored the next goal, but their play became more error-strewn, allowing Dieter Hecking’s charges to take the initiative. The visitors came desperately close to a winner late on, with Rune Jarstein denying Max Kruse, Vieirinha and Schäfer and seeing Luiz Gustavo’s effort come back off the post, but the home side held out for a share of the spoils. Jarstein was a spectator for almost the entirety of the first half, but his second-half heroics – a remarkable double-save to thwart Schäfer and Vieirinha in particular – preserved a point for Pal Dardai’s men. 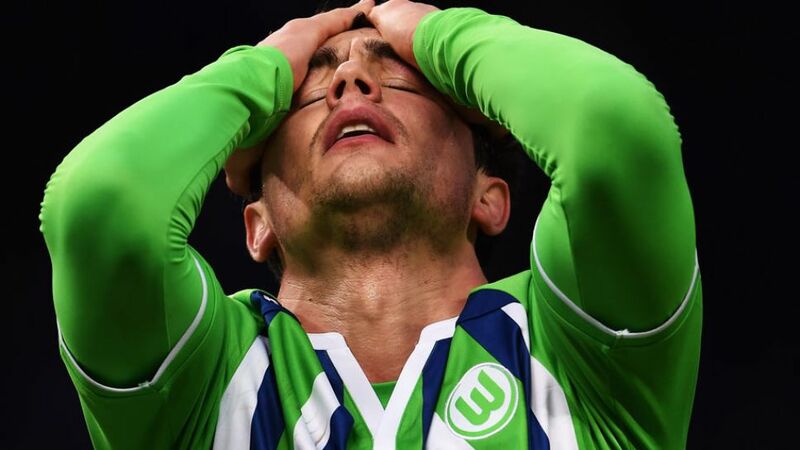 Wolfsburg may feel disappointed at letting a lead slip and passing up some presentable late chances, but after their midweek exertions in the Champions League, a point away at Hertha – themselves pushing for a place in the top four – is certainly no disgrace. A goalless first half ensured that Hertha passed the six-hour mark without conceding a league goal at home.Schäfer’s goal was his first in the Bundesliga since he netted against SC Freiburg in December 2013.After four draws and a defeat, Hertha are still without a league victory in 2016.